We’ve already discussed many of the details surrounding this devilish night with you, but we were able to scare up some more info about this rockin’ party that’s taking place on September 13 from 8 pm – 1 am. As you already know, this party will happen on both coasts, at Disneyland and at Disney’s Hollywood Studios. Of course, we’d be remiss if we didn’t bring up that Hades’ Hangout dance party will be the place to be at Disney’s Hollywood Studios. Here guests will be able to dance the night away, but they should also be on the lookout for villains like Pain and Panic (Hercules), Cruella de Vil (101 Dalmatians), Jafar (Aladdin), Maleficent (Sleeping Beauty), and the Big Bad Wolf. But that’s not all that’s in store for guests! Limited edition merchandise can be picked up at Villains in Vogue on Sunset Boulevard, and will feature a special “Unleash the Villains” t-shirt. Guests can also pick up a spooky kooky gingerbread cookie or Jack Skellington souvenir popcorn bucket and a chilling beverage. And make sure you don’t miss out on the fireworks, which are happening at midnight. 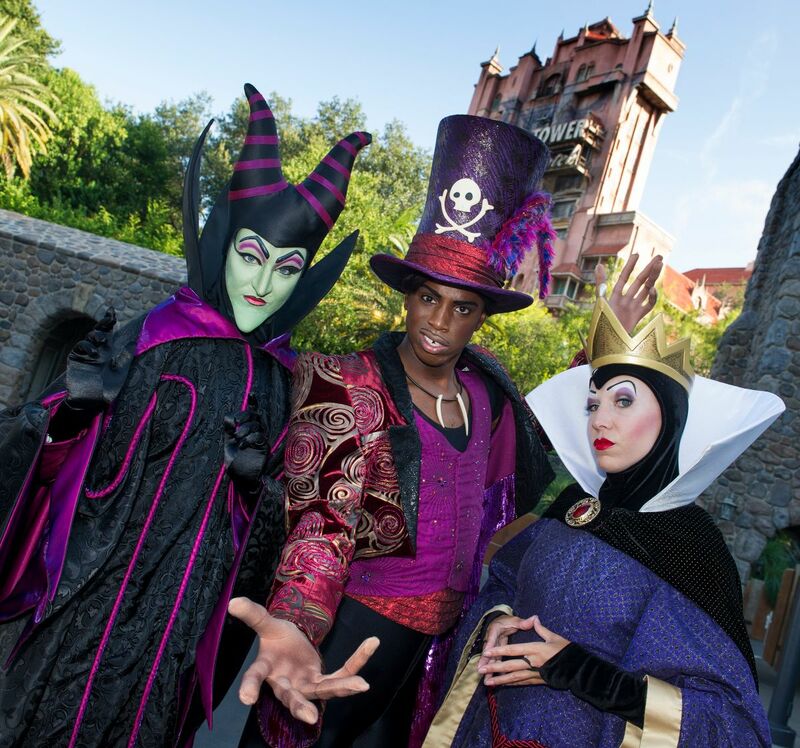 At Disneyland there will also be an Unleash the Villains dance party near the New Orleans Square Railroad Station. Here the Scare Master will scare up some tunes, and a collection of Disney evildoers will be on hand, too, such as the Evil Queen (Snow White), Captain Hook (Peter Pan), Dr. Facilier (The Princess and the Frog), Judge Frollo (The Hunchback of Notre Dame), Lady Tremaine (Cinderella), and The Queen of Hearts (Alice in Wonderland). No matter which coast you end up being on for this frightful night, it’s sure to be a hauntingly good time!